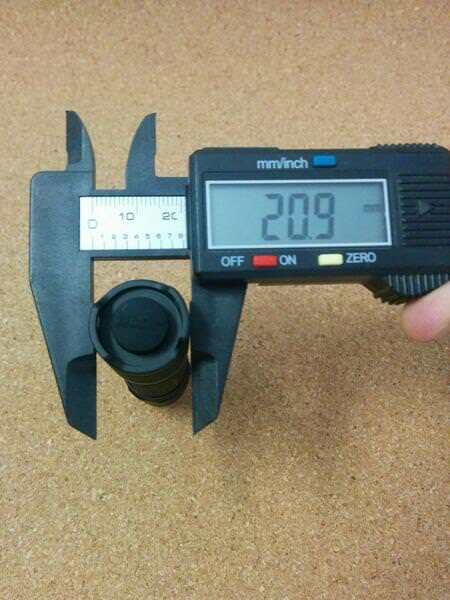 I just picked one of these up on Aliexpress, and I am really impressed by the quality. 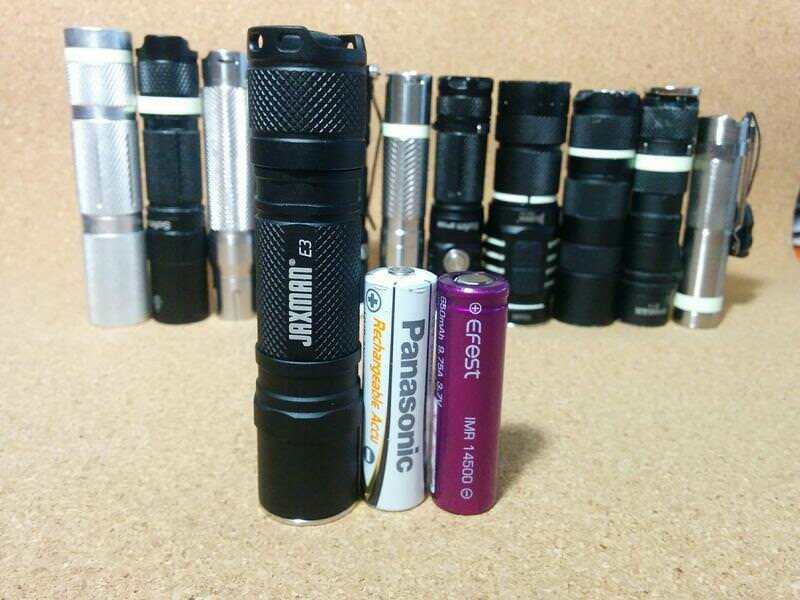 I didn’t use it much in stock form (not the flashlight’s fault…I never intended to), but I can tell you that it is an excellent AA host. It is MUCH smaller and thinner than I anticipated. With some filing, I squeezed a triple XPL HI V2 5D Noctigon soldered to an MTN electronics copper S2+ spacer under a Carclo 10507, and dropped in one of MTN’s 17mm FET/DD drivers. It’s a tight fit, but it is INSANELY bright for a AA and handles heat very well. I can also confirm that the deep carry clips from both the Astrolux S3/SC and the Olight S1a fit it perfectly. 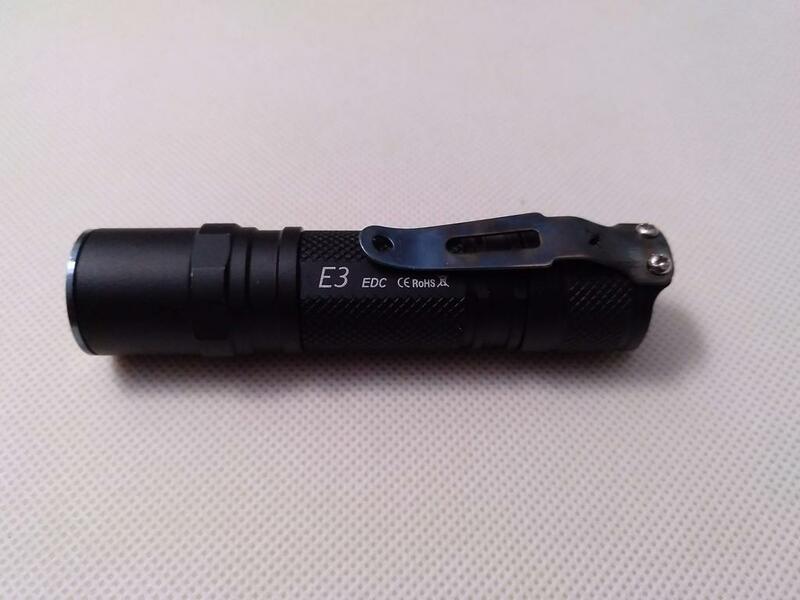 Fantastic little EDC torch! Wow thats a really cool mod. High output and beautiful 5D tint. 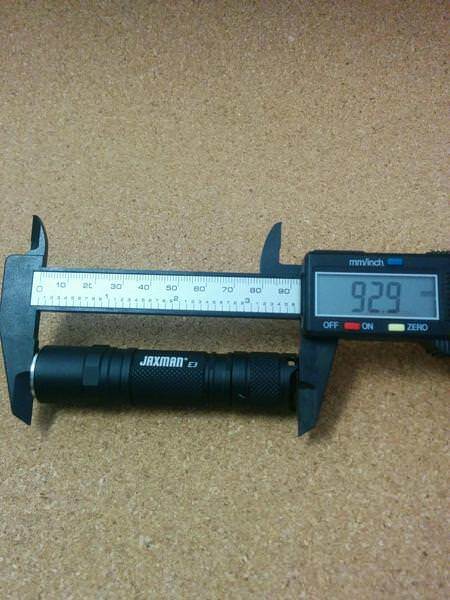 Do you have any lumen estimates or comparisons with stock emitter? I’m not great at estimating, but it was considerably brighter and more “floody” than my BLF X5. I would SWAG it around 2-2.5k. It’s WAY brighter than the stock emitter, and the tint is comparable to my eyes. I know color rendition is supposedly worse, but I’m not sure I’m learned enough to really tell a difference…. Holdon a minute. I’m confused. You’re saying it’s brighter than BLF X5 and you estimate 2-2.5k? Is this really running on a AA battery? That seems unlikely even for 14500. What battery do you use? 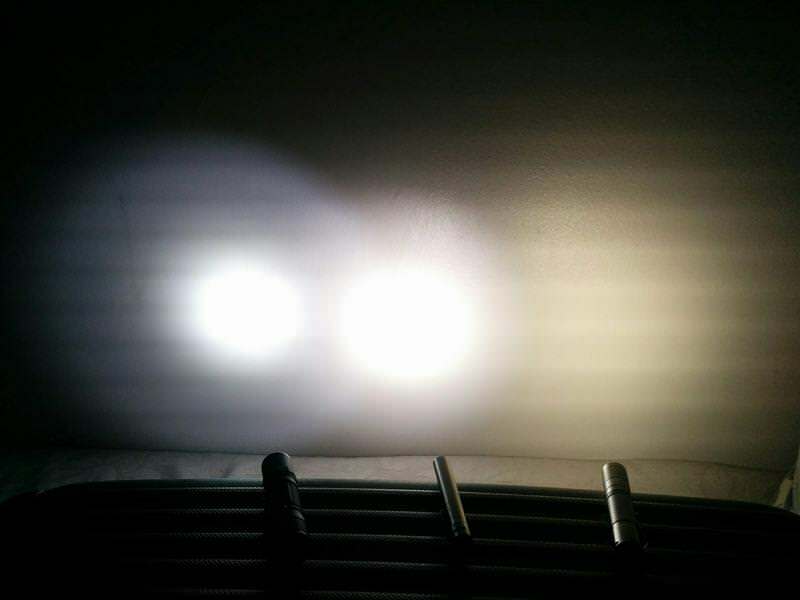 2000lm means ~5A. My apologies—it’s running a 14500, not a AA. 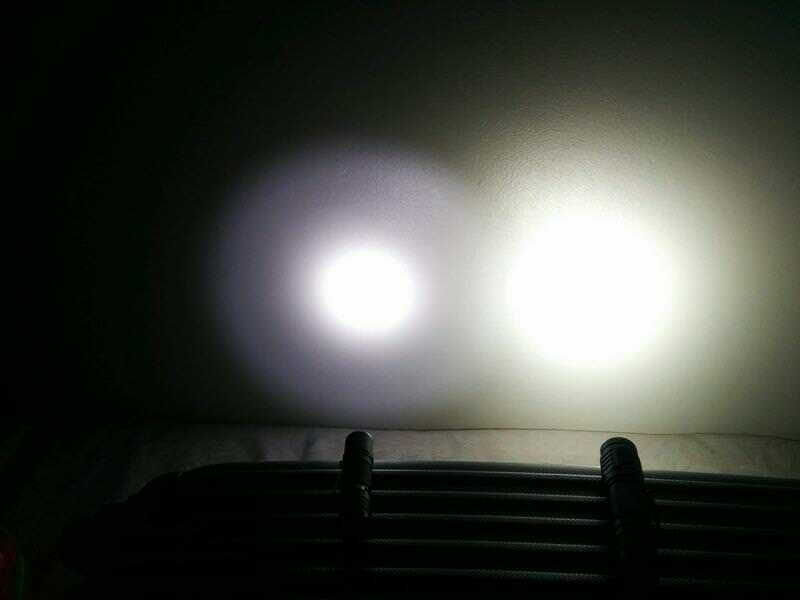 2,000 lumens may even be a bad guess for a 14500, but I don’t have a great frame of reference. 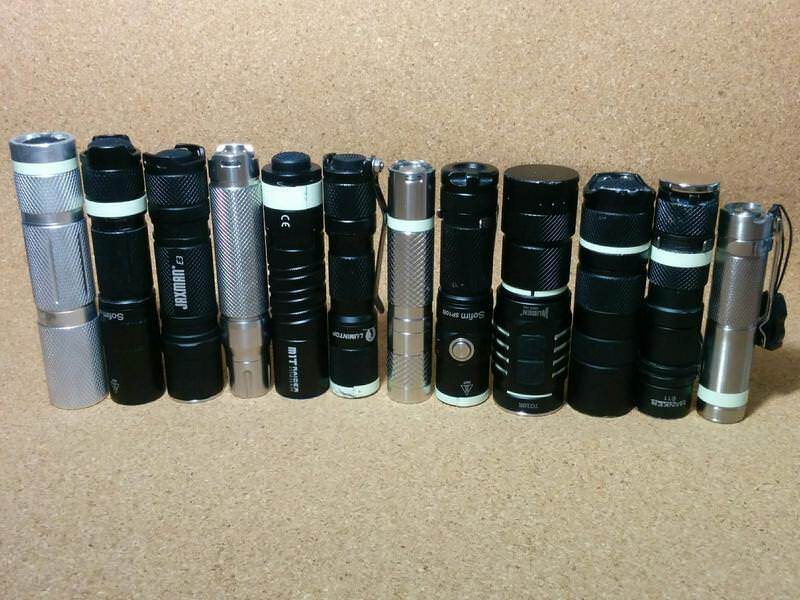 My brightest flashlight is the X5, and it’s brighter than that. Unfortunately you do have to shave the optic, but it still had quite a bit of real estate to spare. 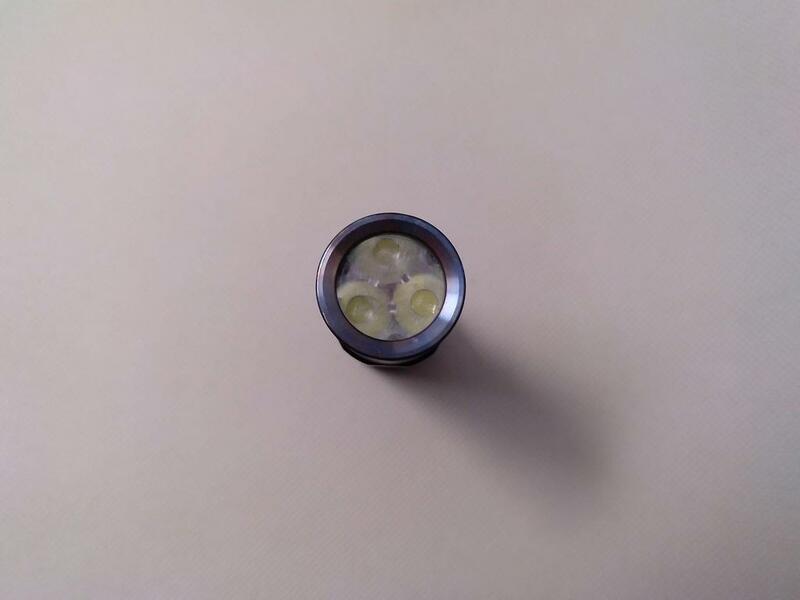 The inside diameter of the steel bezel is about 18mm, and you lose another 1-1.5mm to the lip. It still had quite a nice beam profile imo, though, for what it’s worth. I managed to hose up the driver trying to install a bleeder resistor for a lighted tailcap because, you know, I never learned to leave “well enough” alone, but I will post pictures as soon as I have it replaced! The MCPCB also needed to be “shaved” right? If I recall, the triples are 20mm diameter, so it may need a little filing! Despite the lighted tailcaps ate nice, I don’t use them much, but on this light it deserves one Let us see it when you’re done !!! 14500 is only a urgent selection for strong power need…. It will be some hot and pls attention the overdischarge of the battery. why to to make this contrast………. Hi Jaxman! Please don’t get me wrong! The only reason I asked to see that comparison between the E3 and the S2+ is because I carry a S2+ everyday and I wanted to compare both to check how much longer is the Jaxman E3 and how much larger is the S2+, in comparison. There is no other reason. I am still thinking about getting an E3, but I want some more information to decide! Thanks in advance if anyone can post that or sent it by PM!! 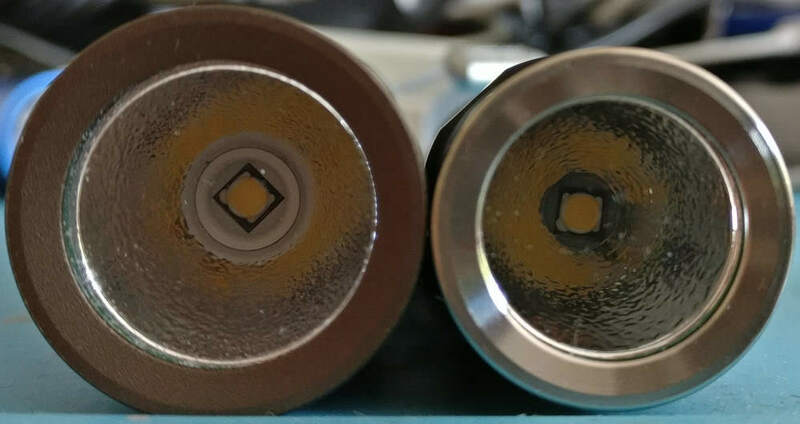 Well, actually, I made a mistake when I asked because I wanted to say S2+ in 18350 version, but that photo with the blue Astrolux let me compare the sizes between both! Thank you very much mate!! 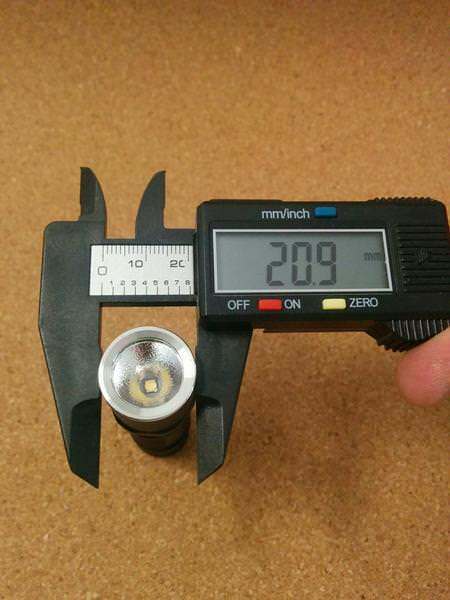 oh, you are talking size.I thought you are talking the flux lumens. BTW, thank you for shipping the flashlight so fast I will be waiting for it to arrive!! Now my city have open the international mail service just now, so now I can arrange shipping as soon as the order is placed. I would not like to wast others time. Good morning, if you are in east Asia now. Thanks for your consideration and for your great work Jaxman! I’ve ordered four E3s and they arrive in CONUS in about two weeks. I use NiMHs but I do wish Jaxman would clear up the question of whether or not to use 14500s. The mode spacing with the 14500 is not really working correctly. It was designed with AA in mind. But it is one of the best AA lights out there at the price. Later I will try to take some photos and make some comparisons for those (like me) that need/want some information about measurements, and…stuff! thanks for your surports. If there is any feeling about it pls kindly tell me. 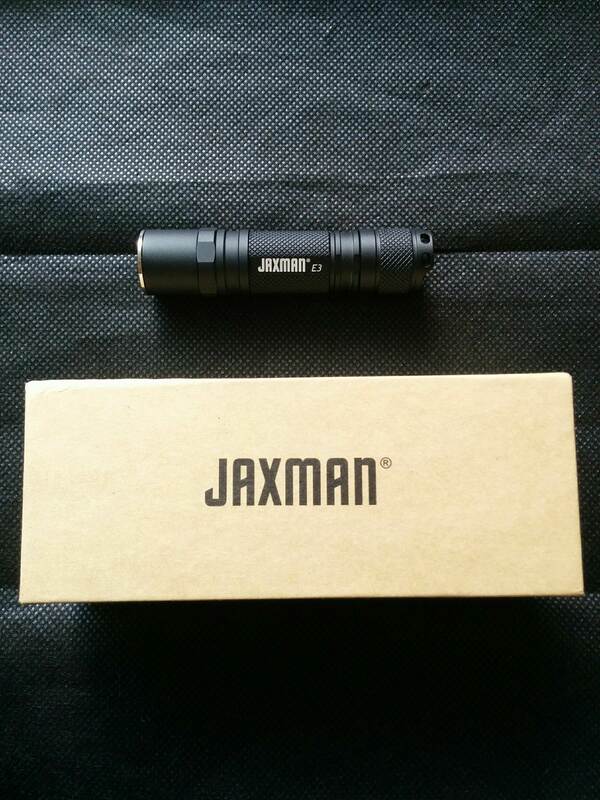 Yesterday I received this flashlight and my first impressions are VERY VERY GOOD! 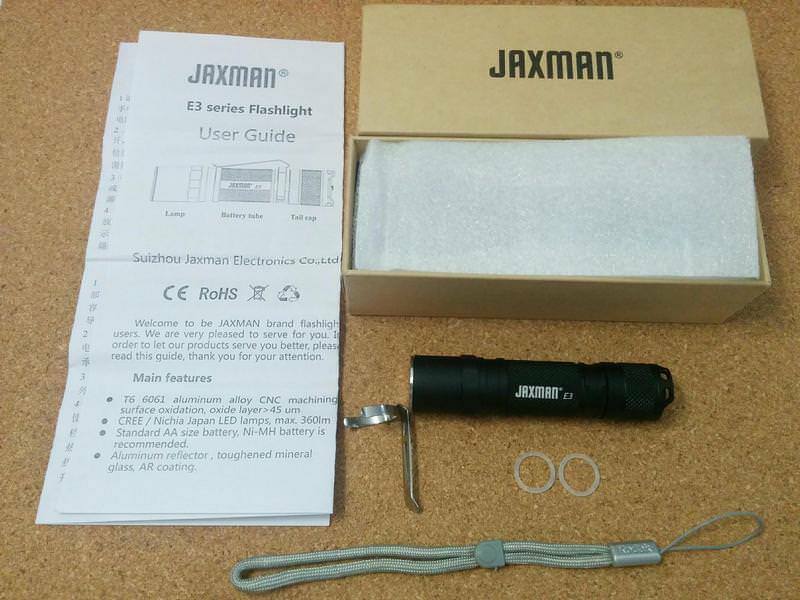 As mentioned previously, this is a flashlight that will act a lot better on Ni-MH than 14500 Li-Ion batteries. I opted for the Nichia 5700K version that produces a quite nice (Neutral) White beam. There are no artifacts or tint shifts on the beam. As for the light and its construction…damn, it’s pretty soft on touch, and breathes quality! At least, this is my impression. Machining is well done, the tube/parts threads are very smooth, as is the knurling. 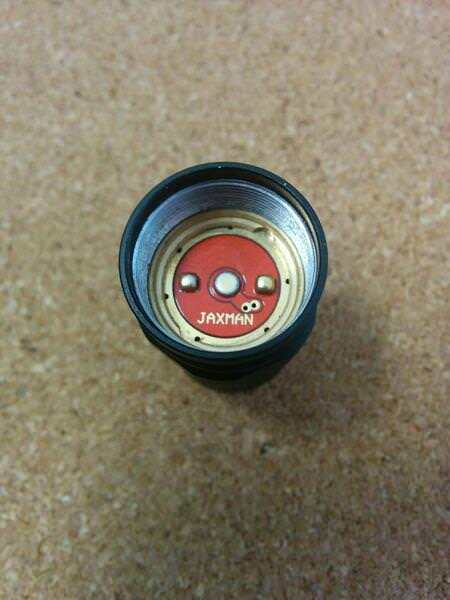 The tail switch is as normal as other flashlights, but look to the detail that the tailcap has “JAXMAN” written on it Like!!! The flashlight arrived with the pocket clip installed, but I opted to take it out and to use a “screwed” in (deep carry) clip. O-rings (stock and spare) are thick. 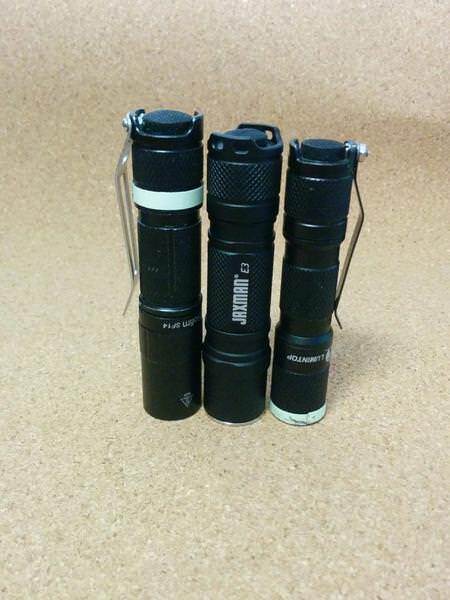 Despite the Efest 14500 flat top is on the photo, please note that this flashlight only takes button top cells. the E3’s middle mode is realized by PWM, so you can find the strobe. Yup, I noticed that! But it can only be seen under a camera, naked eye doesn’t see it (well, at least my eyes don’t see it)!! we will do our best to make lights. Hi. I actually created an account so I could comment in this thread. I use Eneloop batteries and prefer warm light, so I’m in the target market for flashlights like this one. 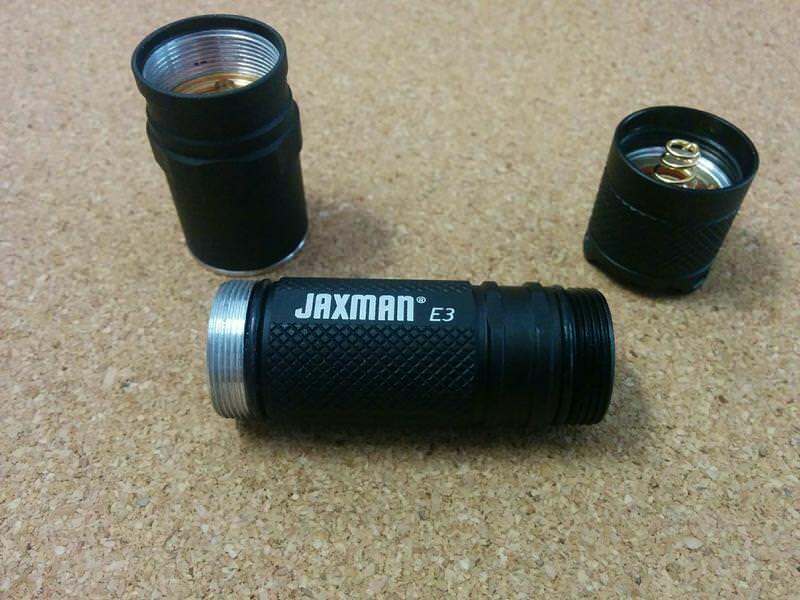 I’ve had a Jaxman M2 in 4300K for about a year and I love it. The two-mode control is wonderfully simple and the modes are nicely spaced. 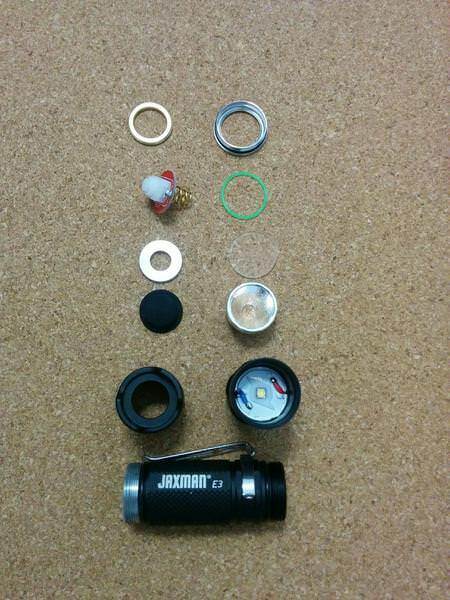 It does everything I need from a larger flashlight and effectively retired my old D-cell incandescent Maglite. I like the 2xAA size and I don’t think they get enough love. 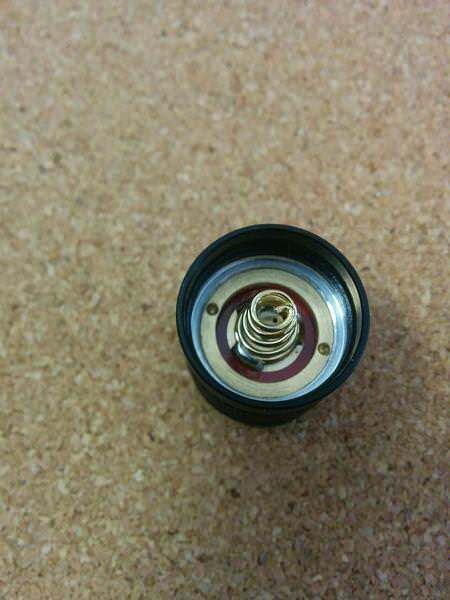 I was very interested in this E3 but the PWM turned me off. I like the extreme battery life of a super low and I appreciate lights that preserve night vision by starting on the lowest setting. Super high can be useful but I rarely use it. The medium setting is right in the sweet spot for me, both for light level and battery life. Having PWM in that mode makes it much less attractive. 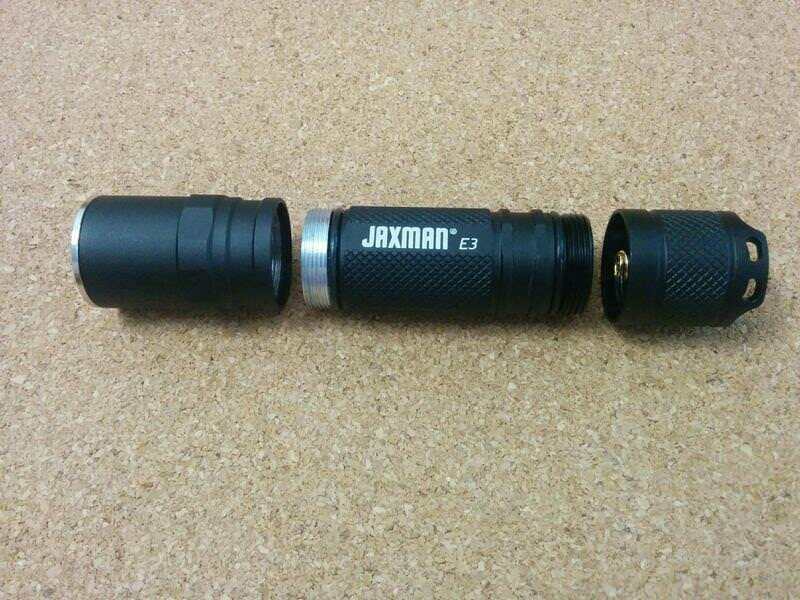 If Jaxman releases a version of this in warm color with high CRI and no PWM, I’ll buy a few of them. hi friend, I had thought that the middle mode is the most seldom to use for most users…. so I set the PWM mode in the middle mode. I am thinking about it and how to deal.. Thanks for the consideration. 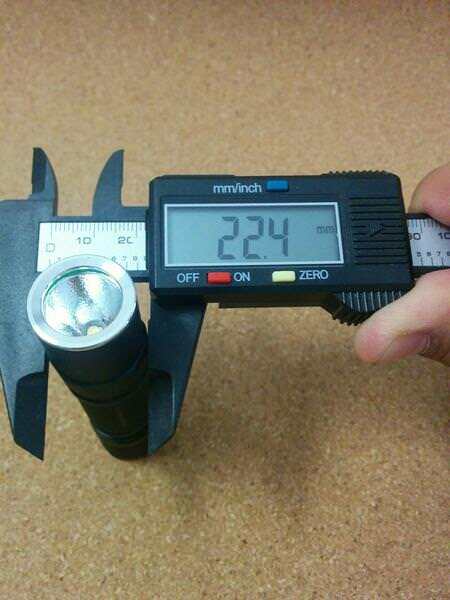 My specific interest is in finding warm and/or high CRI lights that offer a great balance of light and run time on NiMH without PWM. Having it start in moonlight mode is an appreciated bonus. High/turbo is usually my least-used mode in this size of flashlight. I like having the option but I don’t always need that much light. When I use the high mode, I don’t usually need it for a long time. At times when I want a lot of light for a longer duration, it would usually be longer than possible with a single AA or AAA anyway. 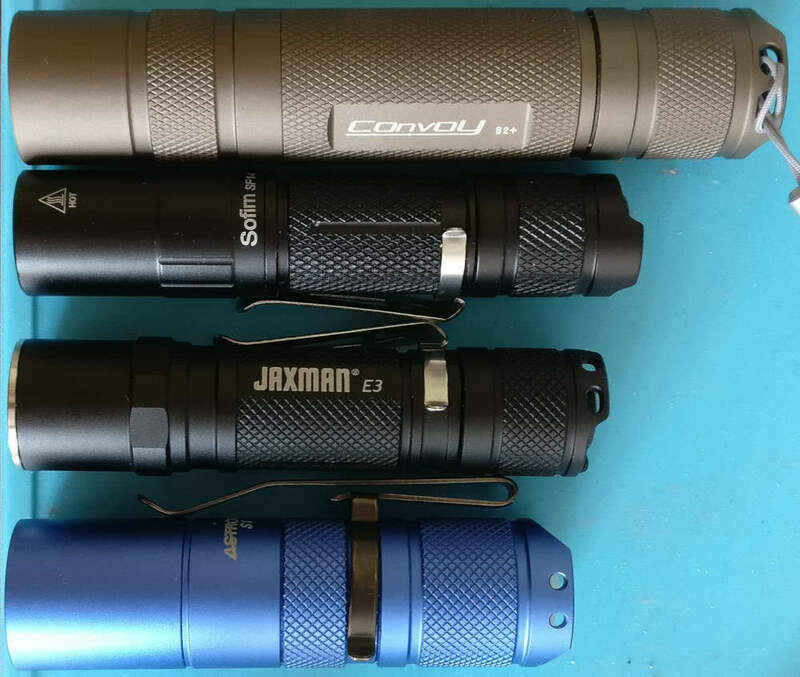 When I want more light, I’ll just reach for a more powerful flashlight like your M2, which can handle bigger outputs for longer. BTW, I just purchased a second M2 because I like it so much. 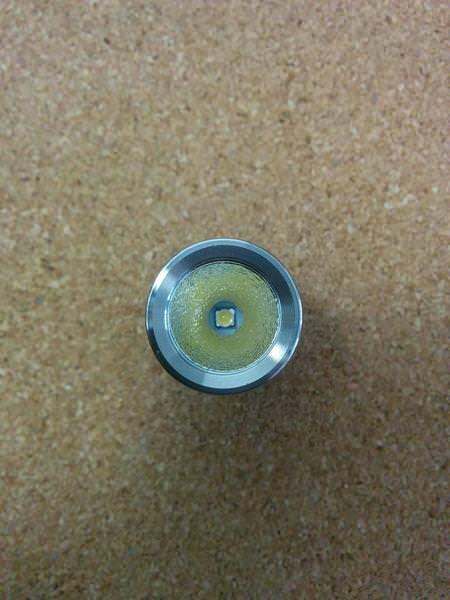 I also have your AA UV flashlight with filter. My experience with your products has been extremely positive. Seeing you here, taking time to engage with your customers and listen to what the gear community wants, is fantastic. It encourages me to recommend your products to others. If you figure out how to implement without PWM, make sure you tell people about this feature on your E3 product page. For some people, no PWM is an important feature.